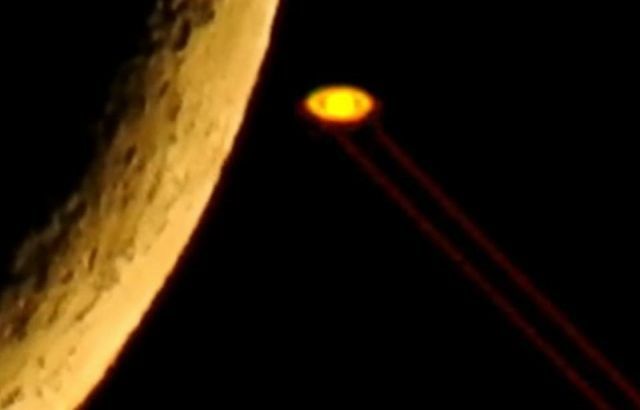 Unknown laser beams being fired from Saturn into deep space! Paula Gilley has been watching the skies for quite some time looking for anomalies in the skies, besides she is watching and monitoring the Moon, Sun and other planets with her telescope. On September 11, 2018 at 6.59pm while monitoring Saturn Paula saw something she had never seen before, more precisely, the recording shows unknown laser beams coming from Saturn. Besides the interesting first video which also shows the laser beams coming from Saturn, starting at about the 2.57 mark, the second short video below clearly shows several laser beams or energy waves being fired from Saturn into deep space.